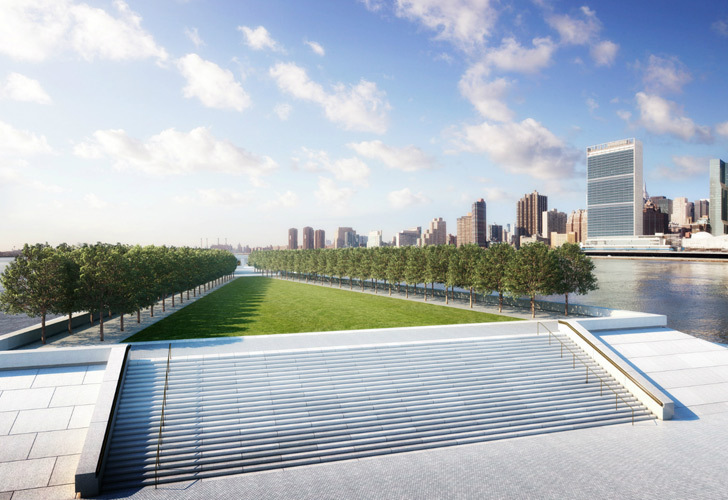 Whether you’re an architecture buff or just someone who enjoys beautiful green space, it’s hard not to get excited about Louis I. Kahn’s Four Freedoms Park, which will be opening soon on Roosevelt Island nearly 40 years after it was designed by the famed architect. The elegant and understated park was conceptualized by Kahn as a tribute to President Franklin D. Roosevelt, for which the entire island is named, and will finally come to fruition in October despite the fact that the design was completed in 1974. Whether you're an architecture buff or just someone who enjoys beautiful green space, it's hard not to get excited about Louis I. Kahn's Four Freedoms Park, which will be opening soon on Roosevelt Island nearly 40 years after it was designed by the famed architect. The elegant and understated park was conceptualized by Kahn as a tribute to President Franklin D. Roosevelt, for which the entire island is named, and will finally come to fruition in October despite the fact that the design was completed in 1974.